Editor’s note: Be sure to check out the free wet bag special Snugabell has going on and you don’t want to miss the giveaway for Leakies at the end! Ask a Pumpin’ Mama and she’ll probably tell you how much space it takes up when you lay out a whole array of pump parts — bottles, lids and flanges — on the kitchen counter. We all want to make sure everything stays clean and safe for our babies, but how much cleaning is enough? 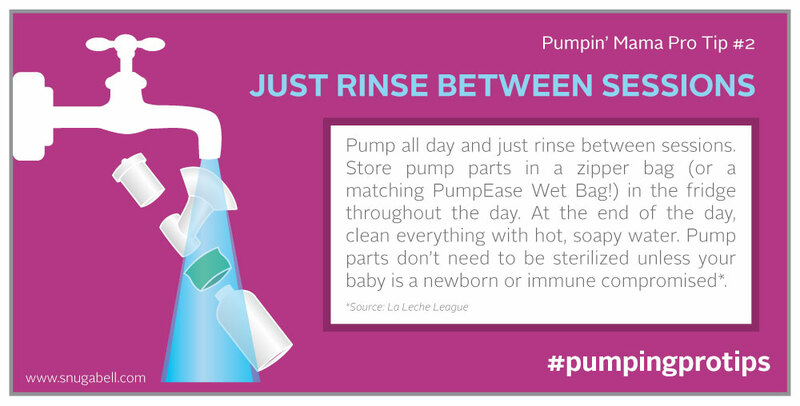 Let Snugabell help you pump like a pro! Save the suds for the end of the day. Especially if you’re at work all day or pumping multiple times, washing up after every use can turn into a drag pretty quickly. Lucky for us, a quick rinse before storing in the fridge in between sessions is more than enough to keep everything clean and ready to go. A good wash with hot, soapy water at the end of the day is all you need. Don’t fret about sterilizing everything. Unless your baby is brand new or has compromised immunity, a thorough washing with hot, soapy water should be all your pump parts require. In fact, more severe cleaning — like boiling, for example — can even compromise and damage the plastic. No need! Use a wet bag. Whether you’re pumping at work during the day or just need a place to drop your wet pump parts between sessions at home, it’s hugely helpful to have a waterproof washable bag to get everything from point A to point B. You won’t want those rogue milk droplets accumulating on the sofa cushion any more than you want them soaking into the nooks and crannies of your pump bag. Solve the problem with a couple of handy, machine-washable wet bags to catch all your gear. Speaking of wet bags, Snugabell is giving away a whole bunch of them right now! To celebrate our SUPER exciting collaboration with Destination Maternity and A Pea in the Pod, we’re sending PumpEase customers one of our fabulous Wet Bag absolutely FREE. Details here! Snugabell is giving away two PumpEase hands-free pumping bras with matching wet bags to 2 lucky Leakies. The PumpEase design will securely hold your pump in place and is guaranteed to accommodate any breast pump on the market. The PumpEase bra like the one shown above makes multi-tasking a breeze for busy moms. This giveaway is open to participants in the USA and Canada. I was glad to hear about the storage of pump parts in the fridge. I pump 3 times a day at work and it saves me from having to wash everytime! This is an awesome giveaway from an amazing website! I’m a FTM due in September and I always look forward to reading new articles from you and educating myself. Probably mostly at home on the weekends. i mostly pump at work, so I’d use it there. I really need a hands free bra!! I’ve been exclusively pumping and am going back to work. An this would save my life. I would definitely use these at work and my morning pump sesh so I can do my hair and make up before work. I pump in an extremely tiny office at work and this would be extremely helpful to do paperwork…but mostly so I can Facebook, YouTube, and Pin while I pump! 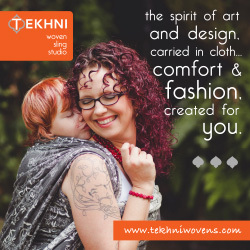 I would use it at home to have hands free for working or helping my older child with projects while pumping. I would use it at work and home! I pump while at work so my baby can have the benefits of mama’s milk. I’m going to most use it at work and home! I’m exclusively pumping and severely need another hands free bra! I’ll most likely use it when I’m at certain family members homes or at home, I’m currently 39 weeks along and plan on looking for a part time job at least 2 months later so I’d definitely use it during break/lunch time. i would use the bra during the day while I’m at work. Good info. Thanks! I mostly pump at work, so I will use it mostly there. I’ll use it when I go back to work! It would be such a help! I would use it at work to multitask on the computer. Most likely will use the pumping bra at work. I would use it around the house so I could do other things with my 3 kids then hold up the flanges. These would be awesome to have! I pump usually four times a day, home/work/work/home (sometimes a 5th time, before bed!). This would make it much easier to transport all my parts to & from work! I pump at home mostly but also have to in the car while driving and a good hands free bra would be wonderful! I pump at home everyday to supplement my nephew! I habe carpal tunnel so handsfree is amazing! In the lactation room at work. I won’t know where I’ll be pumping more until I find out my fall teaching schedule. Might be at work, might be at home, depends on whether I have more than one class on the same day. I pump 3 times a day at work, and I’m sure I’d be more productive if I could double pump hands free in my office. Multitasking seems like a luxury I don’t have right now but would love! Right now I pump at work and sometimes at home (my teething baby isn’t always interested in eating). I head back to work tomorrow and this post was helpful as I prepare to start pumping at work. I pump mostly at home to establish my milk supply. At work…probably hiding in a closet since there are windows on all the doors!